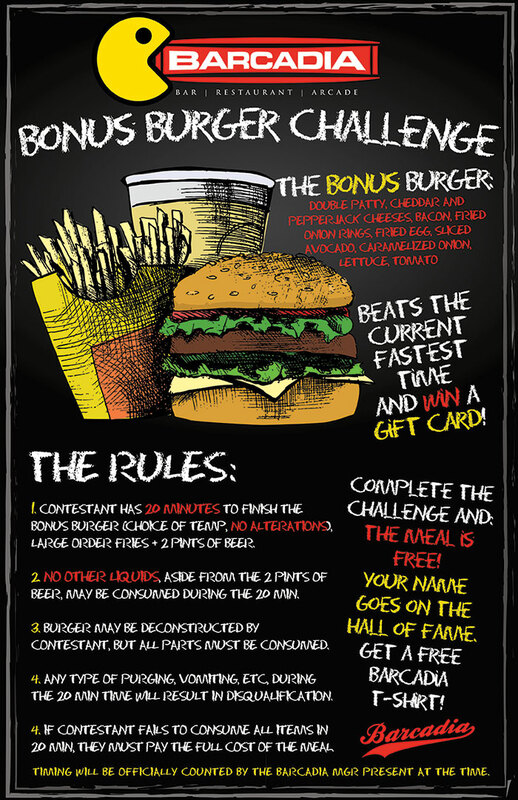 Take the Bonus Burger Challenge! 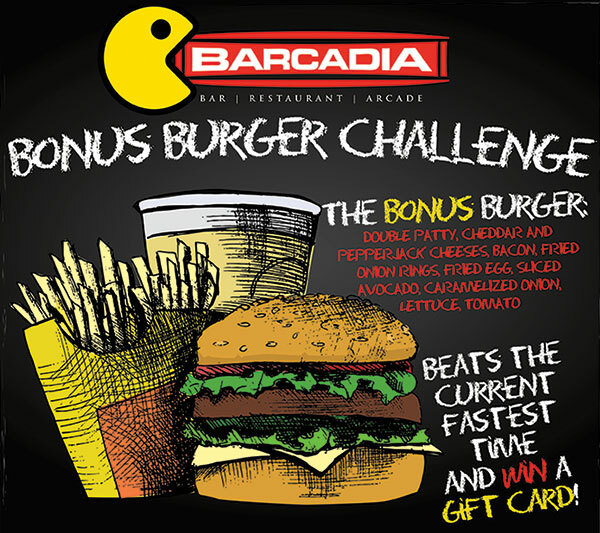 Check out our new Bonus Burger Challenge! Eat. Drink. 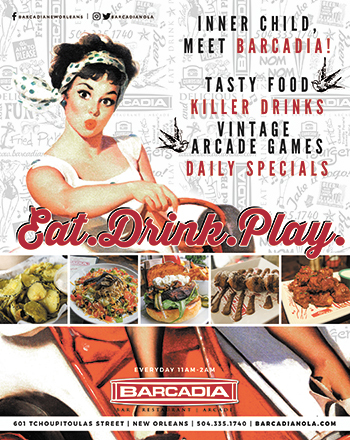 Play at Barcadia! View the rules HERE.